How Do I Get Started On Planning My Renovations? Feeling overwhelmed? Have 101 questions about your renovation? When you break it down into small steps, it all becomes manageable. Here’s a handy guideline we hope will help make planning simple and fun! Remember, we’re just a call or click away. Get your whole family involved! Compile a list of what’s working and what isn’t, in your current space. Consider your short and long-term goals for your home – are you in your forever home, or do you plan to move in the near future? Note any pieces of furniture or accessories that need special consideration in the Design Stage. Talk to friends and family who have renovated – their experiences could help you! Discuss your timelines – when do you want to be enjoying your new space? For more tips and tricks on how to set a budget, click here. A well planned, quality renovation can dramatically enhance your home and lifestyle, as well as add value to your property… but where do you start? Our experienced team of professionals know exactly what to do each step of the way, and guide you from concept to completion. We’ve made it simple. 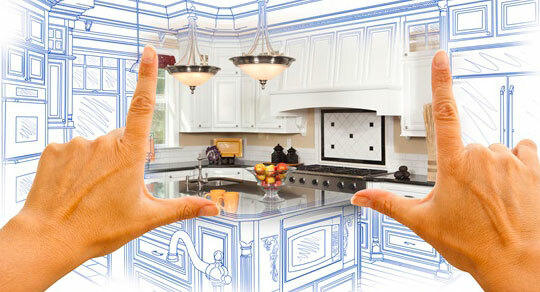 Contact Cornerstone Select Renovations today and let’s get started!